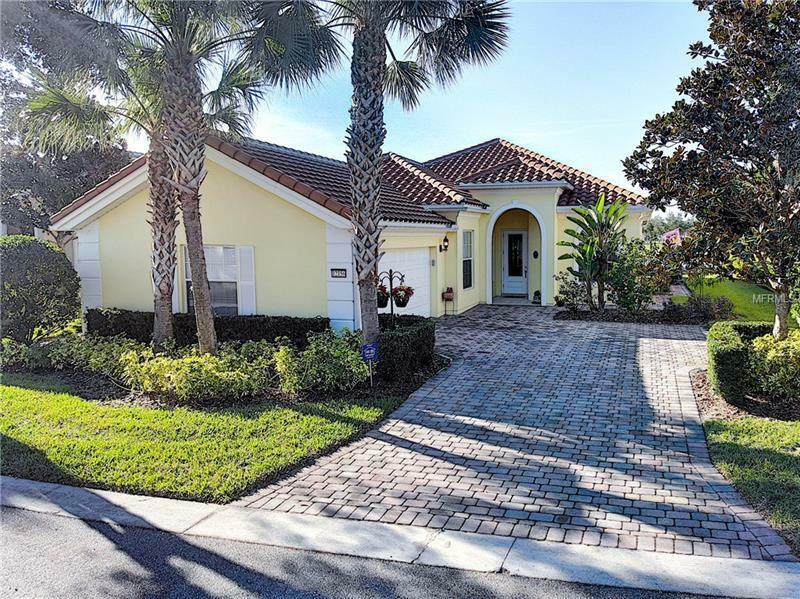 STUNNING Lake Nona Home With Large Water View Is Ready For YOU To Move Right In! RESORT LIVING - NO GROUND MAINTENANCE! There are many upgrades to this home that make this a rare gem in the neighborhood. Starting with an extra wide lot, so extra parking space is available , along with a side entry garage which affords more parking area, and a much nicer curb appeal! As you enter the home there is such a warm and inviting feeling, not to mention how meticulous these original owners have been with the upkeep and updating of their home! including Granite Counters, upgraded paint colors. Another wonderful upgrade is the built in entertainment wall in the living space.. this really creates a very grand feeling, and there is plenty of room for your TV, & to display your art pieces! This home also has a wonderful split plan with a den space in the front of the home that offers great flexibility to use it as a formal dining space, a 4th bedroom, or office workspace! The master bedroom has a private slider out into the back yard & offers up some gorgeous LONG and WIDE WATER VIEWS and a Fantastic Master Bathroom plan! This guard gated community includes a town center with spa, deli, post office, gas station, fitness, resort-style pool and a lap pool, playground, basketball, tennis courts, pickle ball, basic cable, internet and monitored alarm system included in the monthly HOA fees Just down the street from the US Tennis association in the heart of Lake Nona! HOME WARRANTY TO BUYERS INCLUDED!